Daystate have been supplying their own-brand Rangemaster pellets for many years and have always been noted for their high quality and the company’s attention to detail when dealing with airgun ammunition, observing that the best airguns in the world will always need an equally good pellet! Daystate Rangemaster Sovereign Pellets have been specially selected by Daystate from the JSB Exact factory. Those are good but it is absolutely unnecessary to buy that expensive stuff. They are just rebranded JSB Exact Jumbos. Just as with Bisley Magnums which are nothing than rebranded H&amp;N Baracuda Match. So... save your money and buy the JSBs. These are available in different sizes (5.50, 5.51, 5.52) - try them all and see what your gun likes best. Choked (Lothar Walther) barrels mostly like the 5.50s best. Got these pellets to try out in my HW100 .22 as the .177 were real accurate and these didn't disappoint. Hard hiting and as accurate as .177 they fly like a .20.&nbsp;Give them a go and see for yourself, rabbits beware!!! 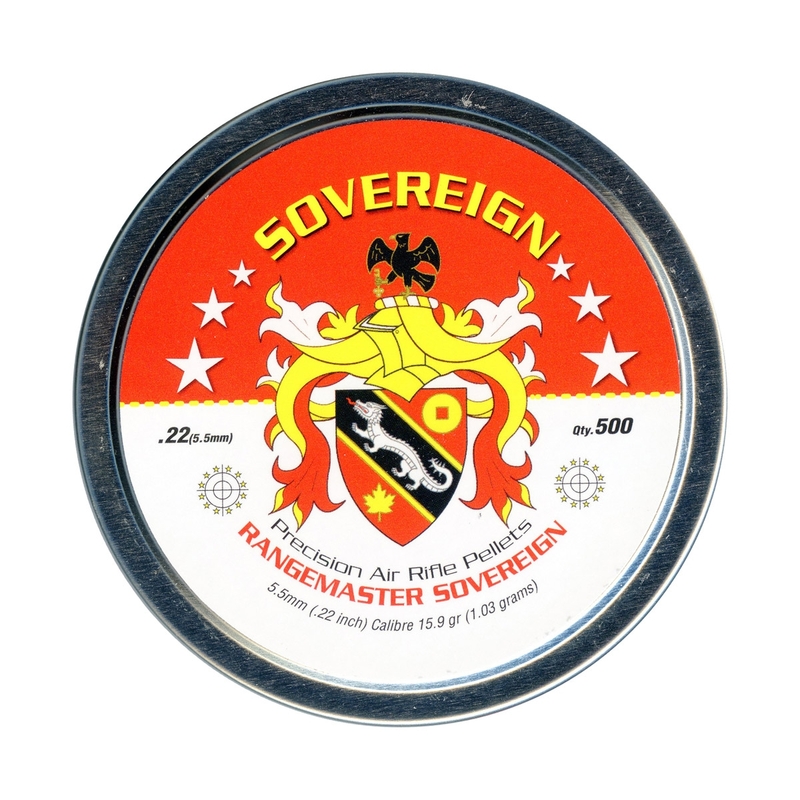 i have 2 hw100's in .22,one grouped well with one brand of pellet &amp; the other rifle preferred another,i order a tin of daystate rangmaster sovereign to see how they grouped,i ran a couple of felt cleaning pellets through both rifles,put 20 pellets through both barrels,put a target up at 25 yards &amp; both rifles grouped well.they both developed a group smaller than a 5p coin,with no flier's looks like i will be ordering some more of these.nice to find a pellet that performs well with both rifles. Fired about 400 of these through my Daystate Regal so far. Accuracy is first class, certainly made me appear to be a better shot! Very few damaged skirts, pellets not too tightly packed in the tin and the light coating makes them look good quality.